Infection with the bacteria Ehrlichia causes a disease called ehrlichiosis, which has also been called "tropical canine pancytopenia" (and several other names) and affects dogs and other species worldwide. Infection with Ehrlichia, commonly transmitted by ticks, leads to a wide range of symptoms which can make the disease hard to diagnose. Ehrlichiosis refers to a condition when Ehrlichia infect the white blood cells of dogs. There are many species of Ehrlichia, but there are only a few species that affect dogs. A closely related infection affecting platelets is caused by a bacteria called Anaplasma platys and is sometimes referred to as ehrlichiosis as well (it used to be called Ehrlichia platys). Most Ehrlichia infections are acquired through tick bites; infection is also possible via blood transfusions. The symptoms and severity of illness seen with ehrlichiosis depend on the species of Ehrlichia involved and the immune response of the dog. Generally, Erlichia canis appears to produce the most severe illness, and infections tend to progress through various stages. Anaplasma platys, on the other hand, causes recurrent low platelet counts but tends to produce only mild symptoms, if any. The acute phase occurs within the first few weeks of being infected and is rarely fatal. Recovery can occur, or the dog can enter a "subclinical phase," which can last for years, where there are no symptoms. Some dogs eventually progress to the chronic phase, where very severe illness can develop. In practice, it is difficult to distinguish these phases. Signs of other organ involvement can appear in the chronic form, especially kidney disease. Ehrlichiosis occurs worldwide in areas where the ticks that carry the disease are common; that includes areas of southeastern and south-central United States, from the Eastern Coast extending westward to Texas. 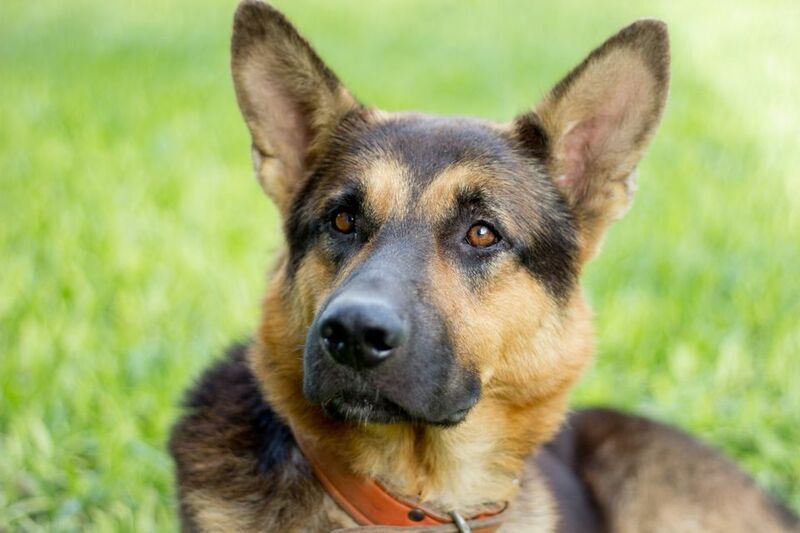 While any dog can be infected, some breeds, most notably German shepherds, are prone to more serious chronic infections. Retired racing greyhounds from areas where ehrlichiosis is common may suffer from chronic, undetected infections and should be checked for ehrlichiosis and other tick-borne diseases when adopted. It can be difficult to confirm a diagnosis of ehrlichiosis. Blood tests typically show a decreased number of platelets (thrombocytopenia) and sometimes decreased numbers of red blood cells (anemia) or white blood cells. Changes in the protein levels in the blood may also occur. Blood smears can be examined for the presence of the Ehrlichia organisms. If they are present, the diagnosis can be confirmed, but they may not always show up on a smear. Blood can also be tested for antibodies to Ehrlichia, though this can sometimes produce incorrect results. Specialized testing can check for genetic material from Ehrlichia, and while this is the most sensitive test, it is not widely available and has some limitations as well. Generally, a combination of lab tests along with clinical signs and history are used to make a diagnosis. The diagnosis is further complicated by the fact that dogs infected with Ehrlichia may also be infected with other diseases carried by ticks, such as Babesia, Lyme disease, or Rocky Mountain Spotted Fever. Infection with a bacteria called Bartonella has also been found in conjunction with ehrlichiosis and other tick-borne diseases. The presence of these other diseases can make symptoms more severe, and the diagnosis can be more complicated. Preventing exposure to the ticks that carry Ehrlichia is the best means of preventing ehrlichiosis. Check your dog daily for ticks and remove them as soon as possible (it is believed that ticks must feed for at least 24 to 48 hours to spread Ehrlichia). This is especially important in peak tick season or if your dog spends time in the woods or tall grass (consider avoiding these areas in tick season). Products that prevent ticks, such as monthly parasite preventatives (including Frontline and Revolution) or tick collars (such as Preventic), can be used; be sure to follow your veterinarian's advice when using these products. Keep grass and brush trimmed in your yard, and in areas where ticks are a serious problem, you may also consider treating the yard and kennel area for ticks.